When we carry out the Activity Licence project, we need to adapt the existing facilities to the Fire Security Regulation in Industrial Buildings of 2004 (RDSCIEI in Spanish). 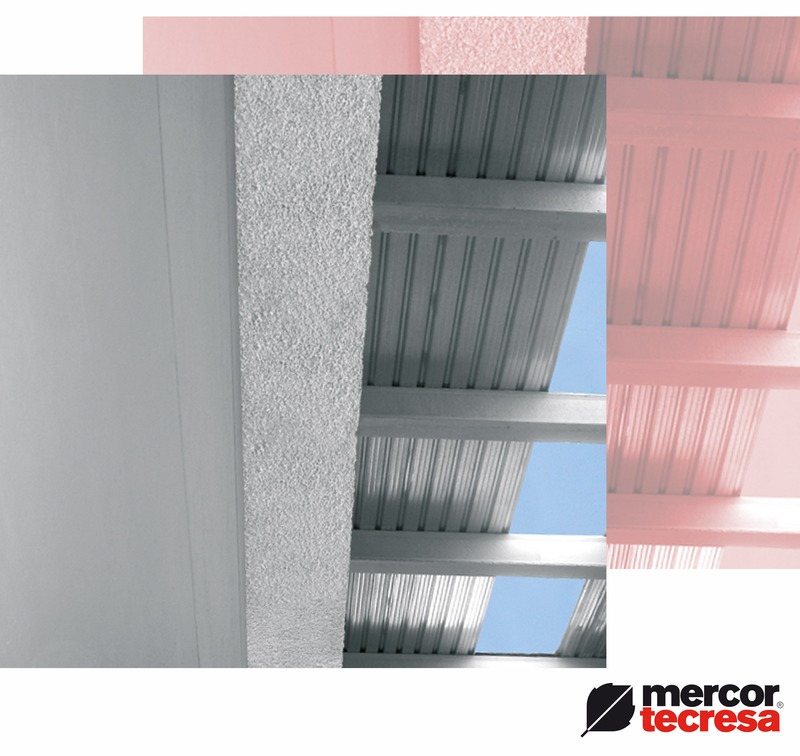 Once the inherent risk of the building (high, medium or low) has been established by the Project Manager and its relationship with the environment has been categorized into types (type A, B, C, D, E), we can assess what aspects are going to be necessary in relation to passive fire protection. Let’s see the different actions required according to these two parameters. The main structure of the building is made up of porches (pillars and beams). Normally, we exclude from the protection the belts if they are small, like low-thickness galvanized metallic profiles type “Z” or “C”. On the other hand, the belts should be included in fire protection when the distance between belts is large and structurally relevant, such as IPN or UPN metal profiles, since they are designed to bear loads and their collapse will throw part of the roof and hinder evacuation. 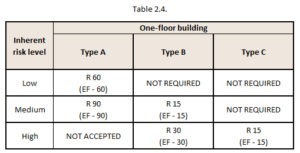 These values will also be applied to the load-bearing structure of the mezzanines, as long as it does not exceed the 10% of the floor area of the building and the evacuation routes do not exceed 25 m and up to 20% of low-risk buildings, with an occupation of less than 25 people and a maximum evacuation route of 50 m.
Once we know the fire resistance needed on the main structure, we will verify which type of structure we have and if it complies with the fire resistance required. If not, we must apply protecting products thick enough to grant it will not collapse within the requested time. 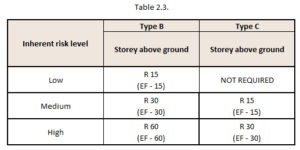 According to the table 2.2, A type buildings cannot show high risk, so the last column will just be valid for B type buildings without separation between them. Pillars that are included in that dividing wall must also comply with these requirements, though the rest of the loadbearing structure has a lower request due to the aforementioned determinants.